While mountain biking on the Karkogel near Salzburg, you get to decide which challenges you want to face. A large part of the uphill effort can easily be saved with a comfortable ride alongside your bike during your ascent to the summit station of the Karkogel cable car. Once there, the choice is yours. 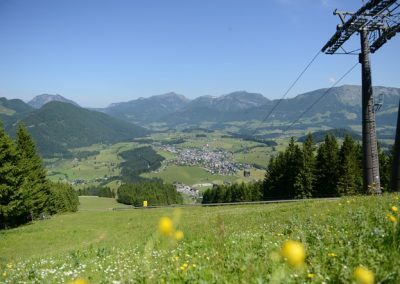 You can either opt for the mountain bike tour to Gsengalm or choose the fast-paced downhill track back to the valley station of the cable car. 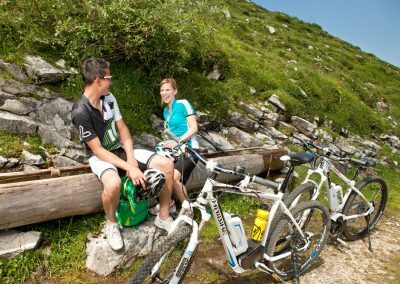 A combination of both experiences is possible and recommended for your mountain biking adventure in Abtenau! Should you already be in good shape and have a desire for an extended mountain tour along the “Karkogel Route”, then start your journey headed in the direction of Fischbach from Abtenau. Start out on the Karkogel Route 10 heading along the road and continuing on the forest road for the ascent up to the Karkogel cable car, where perhaps a sports companion of yours awaits your arrival after “conquering” the ascent with the cable car. Continue towards the Gsengalm hut which, at 1,447 metres above sea level, invites you in not only with a wonderful view of Abtenau, but also with a delicious hearty snack of Austrian cuisine and a well-deserved break. 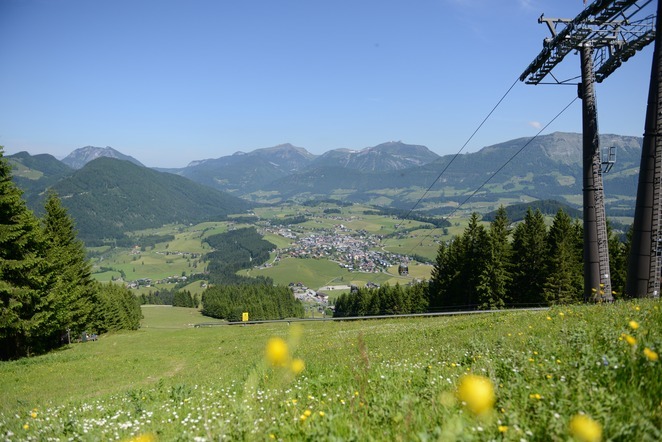 Head back along the trail to the cable car mountain station, then take the exciting and varied downhill track to complete your mountain biking adventure on the Karkogel in Salzburger Land! The best time of year for mountain biking with or without the Karkogel cable car is from May to October. The recommended mountain bike tour from Abtenau to Gsengalm is 10.3 km long, has 733 metres in elevation change and takes approximately 2.5 hours to complete. Tip: GPS data is available for download.